According to a press release from The Purple Agency, the new project will be released on March 25th via RCA Records. With production from Mark Batson, Salaam Remi, and James Pyser, as well as a guest appearance from Anthony's own touring background singers, The HamilTones, this album is definitely going to be great! The singer has already released the first single from the album, "Amen," which has hit the top 20 at Urban AC Radio! In building more excitement for the album, Anthony is set to perform at the Smithsonian Salutes Ray Charles: In Performance at the White House with other artists such as Demi Lovato, Usher, Andra Day, Jussie Smollett and others. The special will air today, February 26th on PBS/TV One! He will also perform "Amen," on The Real on March 1! 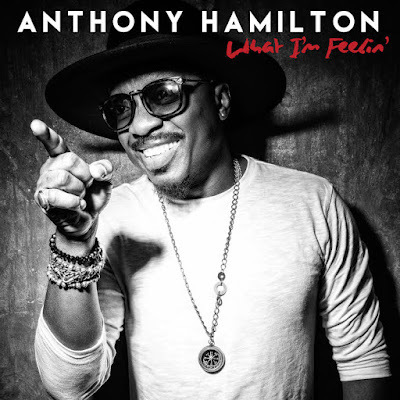 What I'm Feelin' will be available for pre-order on March 4th via all digital retailers. Be sure to cop it when it's out for release on March 25th! Putting it on my calendar now!